JazzTube & MoFun App organized a thrilling and exciting event in Islamabad. Two interesting events have been witnessed and thoroughly enjoyed by the public of twin city (Islamabad/Rawalpindi) held at Centaurus and Safa Gold Mall respectively. 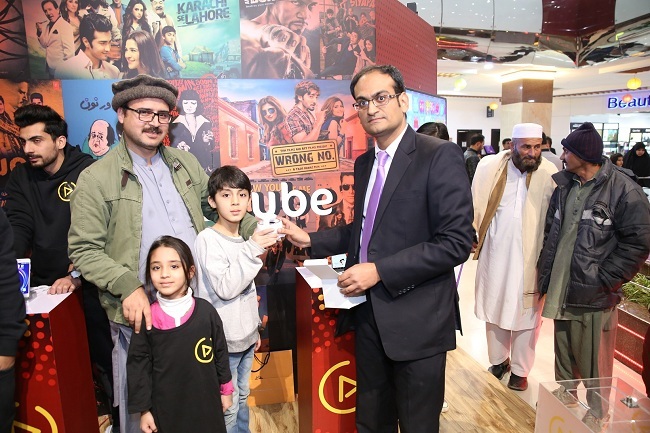 The event caught eye balls when “JazzTube” a popular VOD (Video On Demand) platform and “Mofun” a gaming platform took attention of hundreds of citizens present at the biggest shopping malls of Islamabad. Participants of all ages enjoyed their favorite movies, games and fun-filled activities. DWP Group recently Hosted a Golf Tournament at DHA Country and Golf Club-Karachi.